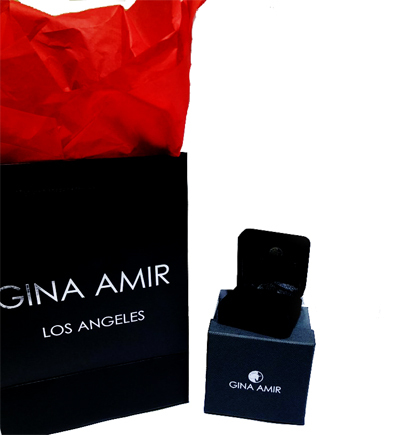 After your ring is set, it will arrive, polished, documented, and ready for the moment you present her the beautiful box. WHICH REPAIRS AND SERVICES ARE COVERED? Two-Year Extended Warranty Plan covers all inspections and defects in materials. This includes the parts and labor necessary to fix problems which may have occurred during normal usage of the jewelry. Depending on the type of jewelry, the plan would include resizing or re-shanking of rings, clasp replacement, repair of broken chains, repair of worn or broken prongs, repair of broken earring posts or other similar repairs. Minor scratches that occur from normal wear will also be removed in this process. WHAT IS NOT COVERED? Jewelry that has been damaged as a result of excessive or abusive treatment, i.e. stones fallen out due to heavy pressure, mistreatment, bent rings and other obvious reasons, are not covered under this warranty.